Summer is nearing its end and Autumn is coming. To celebrate the new season, a bit early, but still nice, WildSlots is running a special giveaway from September 7th until September 10th. Entering this giveaway is easy, for every €10,- you wager on Wolf Cub, you will receive 1 ticket. You can collect up to 50 tickets a day, so 200 in total during all 4 days. Then on September 12th, 500 lucky players will be awarded with a cash prize. 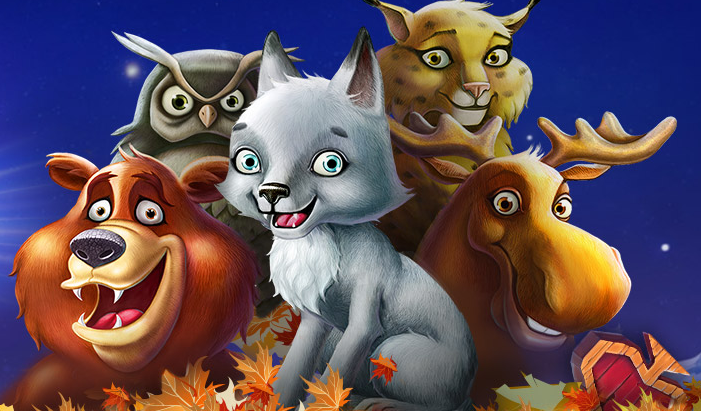 Wold Cub is a NetEnt slot game that was only available at Betsson casinos until now. All NetEnt casinos will add this new game on Wednesday. The game uses 20 lines, stacked symbols and comes with a very cool free spins feature. You can read all about Wolf Cub slot game in my earlier post. And even watch a gameplay video. WildSlots is the third online casino from the same group. The group also runs NextCasino and CasinoLuck. All three casinos are running this same promotion, so you can pick the one you already have an account at, or create an account at any of them. At WildSlots all new players receive a 100% bonus up to €100,- including 100 free spins on Wild Wild West by NetEnt. And another 50% bonus up to €50,- on your second deposit. Visit WildSlots now and be ready to join their Autumn Giveaway.